My homemade Caesar salad dressing with no mayo was created out of necessity. (I was out of mayo). But, it turns out to be much lighter and still delicious without mayo or egg yolks! I also make a salad dressing all the time without mayo - check out DIY Salad Dressing. 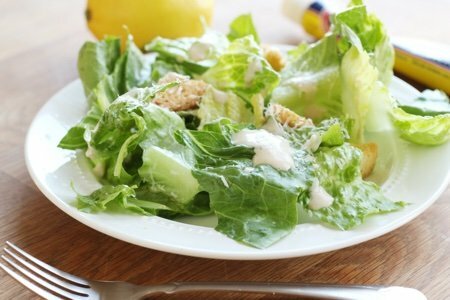 My favorite salad that I will order out is Caesar salad. It is one of those salads that works with grilled chicken because of the saltiness of the dressing. Usually, when you order an average Caesar you are consuming many calories (for a salad) which is not a problem unless you are replacing a burger with this salad and think you are being virtuous. This salad does not have a halo. Until now. I found this box next to the anchovies and above the tuna in your supermarket. Buy yourself a tube and you will have the key ingredient in making this lighter dressing truly taste like Caesar. I believe it cost me about $3.50 and will work for many, many salads. You can also add anchovy paste to your homemade pasta sauce such as How to Make Homemade Marinara Sauce in 20 Minutes for a depth of flavor without any added fishiness. Add a teaspoon instead of salt and see how it pops! I know that Romaine lettuce was contaminated before Christmas with E. Coli but it is now considered okay to eat. They tossed out all the lettuce and hopefully we won't have another problem. I buy whole Romaine hearts, chop them up roughly, and wash and rinse them in my salad spinner. What makes this dressing work is using Greek yogurt instead of mayonnaise for the creaminess. I did add 1 tablespoon of olive oil so that it wouldn't taste too flat without any fat. It works! 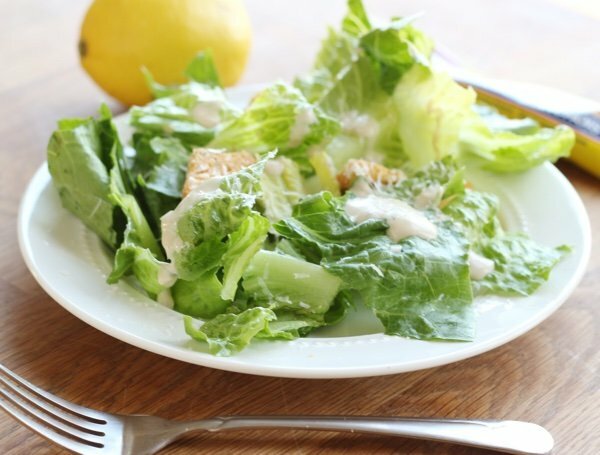 Have you made homemade Caesar dressing without mayo? What do you put in it? 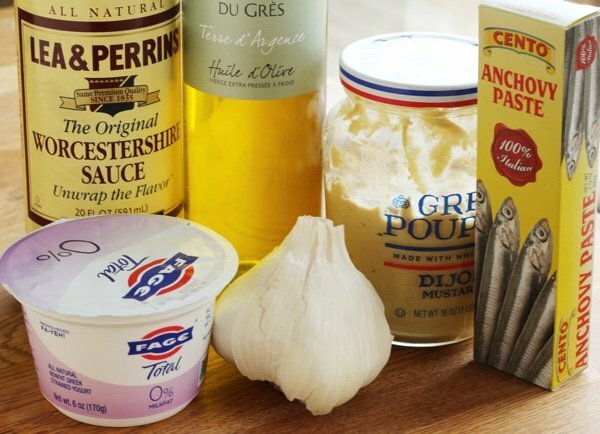 Whisk yogurt, lemon juice, garlic, olive oil, Worcestershire sauce, anchovy paste, mustard, and black pepper in a medium bowl. Use immediately or store for later use in the refrigerator. Believe me when I tell you that I was there in the very restaurant where this Caesar salad originated. In Juarez Mexico, Mr. Caesar Cardini who was an Italian immigrant had a restaurant. Although the recipe given here is close it is not authentic. One or two egg yolk were used from coddled eggs. In the old days they used raw egg yolks. Anchovy fillets were used, not paste. (They take the place of using salt). Don't worry they get mixed with the egg and other ingredients and never taste or smell fishy. The garlic was never crushed. It was peeled and rubbed around the inside of the salad bowl. Use the other ingredients and never use vinegar, always lemon. Parmesan cheese was grated on top. This is a delicious salad that my father would always order. It is easy to make at home and you *don't need* that bottled stuff, sour cream, mustard or mayonnaise. 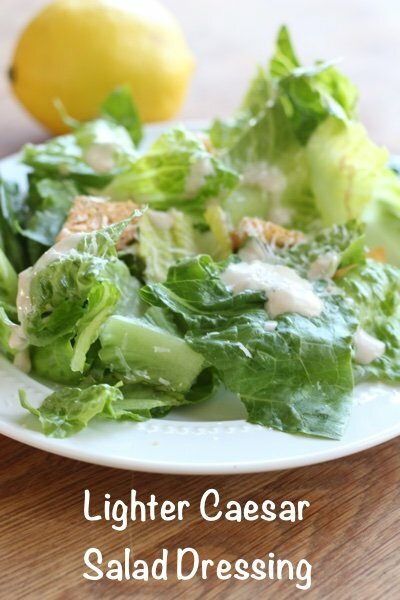 I've been looking for a Caesar Salad Dressing recipe using anchovy paste instead of whole anchovies for so long! Unfortunately, I don't like yogurt (that is a big problem for me when it comes to a lot of the new WW recipes I find). Is there anything you would suggest as a substitute? I would really like to try this out. Thank you. Caesar salad dressing never has mayo in it. I’ve been making it for over 30 years and wouldn’t ever put mayo in it! It has olive oil and a second oil of your choice, plus all the other goodies. Anchovies, lemon juice, garlic, Dijon mustard, an egg and red wine vinegar.